Has cost and skills been deterrent factors when it comes to diagnosing your car? Then VeePeak VP30 changes all that. With Veepeak VP30 OBD2 Check Engine Light Code Reader you can easily check and fix the bugs in your car. This automotive scanner is simple to use – stand-alone unit without the need for an additional laptop or cellphone to operate; no App/software to purchase; no batteries needed. VeePeak VP30 Scanner can effectively read and clear codes in all OBD-II/EOBD compliant vehicles. Surprisingly, it retrieves the same codes as the high ended scanners. Better yet, it is a stand-alone scan tool. You don’t need to connect it to a PC or a tablet to get a reading. All you need to do is plug-and-play as it uses your car’s battery. Besides, the codes are displayed on a clear LCD screen. However, just like any other scan tool, VeePeak VP30 has strength and weaknesses. Here is a comprehensive review of VeePeak VP30. VeePeak VP30 is designed with simplicity and the average car owners in mind. As a result, it has easy to use features designed to perform basic functions. If your car has previously failed I/M readiness test, then VeePeak VP30 can help you do things differently. You can’t really know the emission status of your car until you’ve run an emission test on your car. Often you would go to a mechanic for emission test, but that comes with an added cost and time wastage. However, VeePeak VP30 will help you retrieve I/M readiness status without leaving home. VeePeak VP30 will help you retrieve I/M readiness status without leaving home. You will be surprised how easy it is to retrieve I/M readiness codes using VeePeak VP30. Use the two buttons to scroll and identify different I/M parameters, after test each individual I/M readiness parameter by clicking the Ok’ button. The parameters that you can test with VeePeak VP30 include fuel dumping, catalytic converter, CCM, and engine misfiring. VeePeak VP30 has an annoying link error that keeps popping up as you try to retrieve codes. It may end up wasting a lot of your time. If you are thinking of buying a used car, then you must first obtain its VIN. Why is the VIN important when buying a used car? Well, each vehicle has a unique VIN, just like DNA to humans. VINs are useful in retrieving the history of a used car. As a result, you will know the real condition of a used car before buying it. But where is the VIN located in a car? 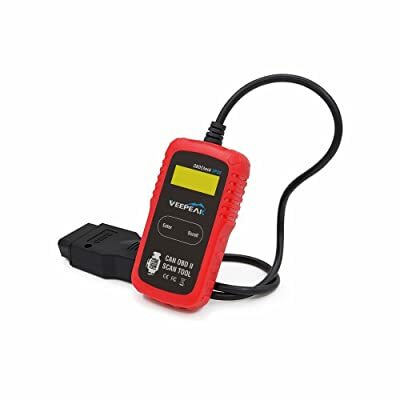 The VIN is stored in a vehicle’s onboard computer which is why you need VeePeak VP30 scan tool to retrieve the VIN. 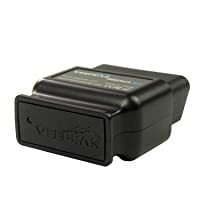 VeePeak VP30 only retrieve VINs from vehicles that are OBD-II/EOBD compliant manufactured from 2002 and newer models. 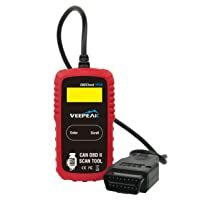 VeePeak VP30 has wide compatibility with all vehicles that are OBD-II/EOBD compliant. Besides, it covers all brands that were manufactured in the U.S from 1996 to date. It means that you can practically scan most of the U.S manufactured cars you can find in the market today using VeePeak VP30. But it cannot retrieve codes in most of the foreign manufactured vehicles. The link error is annoying as it pops up. No in-built DTCs Lookup library. Bottom Line VEEPEAK OCDCheck BLE is highly recommended to the beginners and DIYers with cars and/or light trucks. Every car owner who wants to perform basic car diagnosis can get VeePeak VP30 scan tool. Autel Al319 suits beginners who want to turn off the CEL and do simple tests. 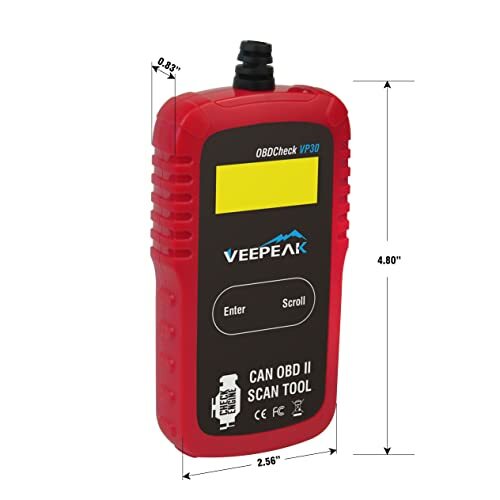 Every average car owner who wants to perform basic car diagnosis can get VeePeak VP30 scan tool. Unlike other scanners that are complex to use, VeePeak VP30 is designed with simplicity for ease of use. The two buttons can help you navigate from one feature to another and you will able to clear codes with a single push of a button. VeePeak VP30 scan tool is a basic scanner designed to perform basic functions. Besides, it is competitively priced, and as such most car owners can afford it. The best part is that VeePeak VP30 is user-friendly. 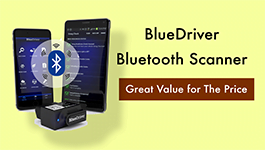 OBDeleven Pro is a unique Bluetooth device which allows you to run full system diagnostics, programming and monitoring on your vehicle. Check it out NOW!! You are looking for the best heavy duty truck scan tool for your truck? Well, you will get the greatest after seeing the top products listed in this review! Autel MaxiSYS MS908CV Heavy Duty Scan Tool is an incredibly powerful diagnostic tool designed to match the complex drivetrains introduced to vehicles.